If your kids enjoy playing video games, they probably love Skylanders. Here are some ideas on how to throw a stress-free Skylanders birthday party when you use the Skylanders party theme from Birthday Express. The Skylanders Party In a Box includes everything you need to create the perfect party and takes almost no planning at all! Party Food & Drink: Get the kiddos involved in the party fun and let them decorate cupcakes! Each kid can top their cupcake with Skylander rings, which also make a great party favor. For a fun snack during the party, make lime "electric" JELL-O Jigglers. For a fun drink during the party, offer the kids blue Gatorade with bright green ice cubes! Party Activities: With Skylanders Paper Masks, kids can choose to wear their favorite characters. They can also play Skylanders Monopoly. You can set up Skylanders video game stations for kids to play the game. Ask a friend (or two) to borrow another video game console to create multiple stations. Party Decor: Blue and green complement the Skylanders theme. You can choose to decorate with solid streamers, balloons, napkins, plates, and other paper goods. Or, make it easy on yourself. 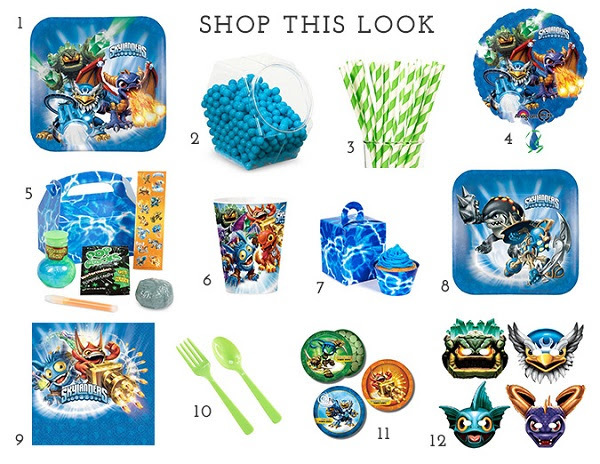 Birthday Express features Skylander napkins, balloons, a table cover, banner, plates, cups and other colorful accessories. 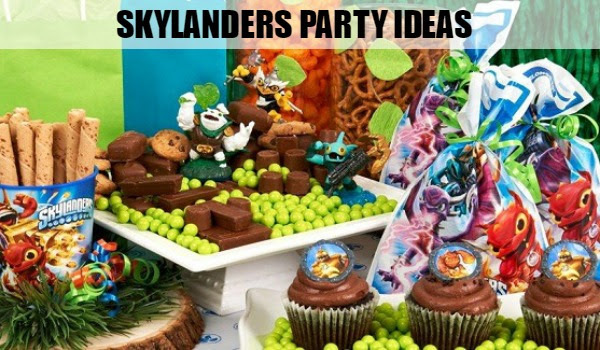 For more ideas on how to create the ultimate Skylanders party, visit BirthdayExpress.com!